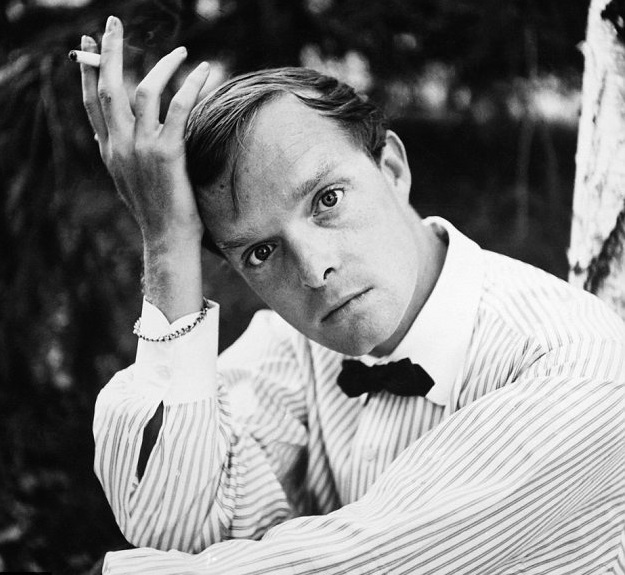 In July we noted the opening of the exhibit “Truman Capote’s Brooklyn: The Lost Photographs of David Attie” at the Brooklyn Historical Society. This Thursday evening, September 15, at 7:30 BHS will present a discussion of Attie’s photographs, which illustrate Capote’s Brooklyn: A Personal Memoir, between Eli Attie, the photographer’s son, who discovered the photographs, and Randy Kennedy, of The New York Times. Following the discussion the actress Janel Moloney (Donna Moss in The West Wing) will read from Capote’s memoir. After that, there will be a tour of the exhibit. The event is free, but you must reserve tickets here. This Friday, September 16, from 5:00 to 9:00 p.m. there will be one of a series of “Free Fridays”, with free museum admission and various activities. The theme this week is “Back to School”. There’s more information here. On Monday evening, September 19 at 6:30 BHS presents “From Gray to Green: The Role of Urban Parks in the 21st Century”, a panel discussion featuring landscape architect and Brooklyn Bridge Park designer Michael Van Valkenburgh and architectural critic Paul Goldberger, moderated by New Yorkers for Parks Executive Director, and former head of the Prospect Park Alliance, Tupper Thomas. Admission is $10, or $5 for BHS or Green-Wood members; purchase tickets here. On Tuesday evening, September 20 at 6:30 p.m., as part of the Person, Place, Thing series, BHS will present Maria Popova, creator of the blog Brain Pickings, who will talk about”her life and the world of blogging” with Randy Cohen. Admission is $10, or $5 for BHS or Green-Wood members; purchase tickets here. Is Brooklyn Heights to Blame for Hillary Clinton’s Pneumonia? Just saw the exhibit … and for any Heights resident – I dare say, 50+ adds quite a bit to the appeal – it’s a DO NOT MISS exhibit. The BHS is a neighborhood gem. I don’t really know about the V&A in London, but I think it’s safe to say that if Brooklyn is on a par with Manh. in several ways (but only recently), this cultural institution is like an “arbitrage opportunity” – every bit the equal of several Manh. collections … but that’s not yet recognized. Their programming – thanks to the BHB for shining a light on occasion – is extraordinary and they are clearly looking to go from hidden gem to known and fully visible gem status.